On Sunday I decided not to play, even as I was seeing games at the lobby with 5-6 non-regulars. Holidays are holidays and I need to rest and plan 2011. In January I'll start again with more strength! In relation to Poker, I think this is a good time to look behind and take a look at the numbers of the last 3 years. The graphics are only referring to sngs above $1, so they do not take into account the sngs where I payed the entry fee with FPPs, since that is considered part of the rakeback. Or to put it in other words... they are graphics pre-rb. 2008 was when I finished my studies in September and started playing professionally. I had excellent results at the stakes I was playing and I managed to reach SuperNova. 2009 was the year that I decided to reach SuperNova Elite, I was positive for the biggest part of the year, but the last 2 months I was still missing $50k in rake and I lost around $30k playing high stakes sngs to be able to reach my goal. I finished the year negative on sharkscope, but considering the benefits of SNE it was still a good year, and much better than 2008 on a financial level. 2010 was a year that was quite different, cause I started being a member of team online and I also played some live tournaments, as a result of the packages that I had from SNE. As I didn't know what exactly PokerStars was expecting of me and I didn't know what to expect out of live tournaments, I ended up spending a big part of the year without well outlined goals. I invested some time to play the hyper-turbo satellites and everything turned out well, with me having even better results than in 2009. 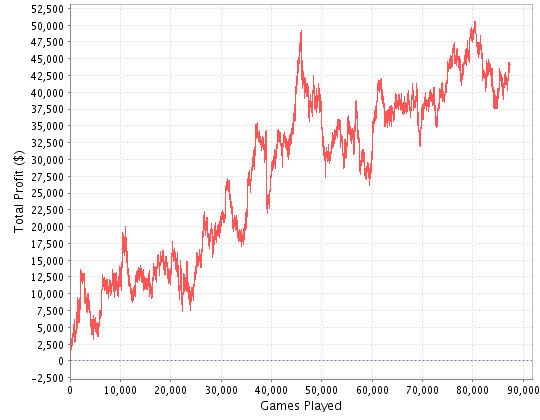 It's also worth mentionning that I earned more money, playing around 50-60% of the hours that I played in 2008. Or in other words, I increased my hourly rate and my quality of life, having more time to do the things I like. For whoever is not familiar with what I'm talking about... the advantages of being Supernova are equal to 33-48% of rakeback and Supernova Elite 63-64% of rakeback. You can get more information here. Where I have been losing money, are the online mtts. But it's normal... I can't expect good results when I only play tournaments with many players only after having worked 8 hours. Basically... I'm exhausted when I start playing them, which is why I can't get any big results. 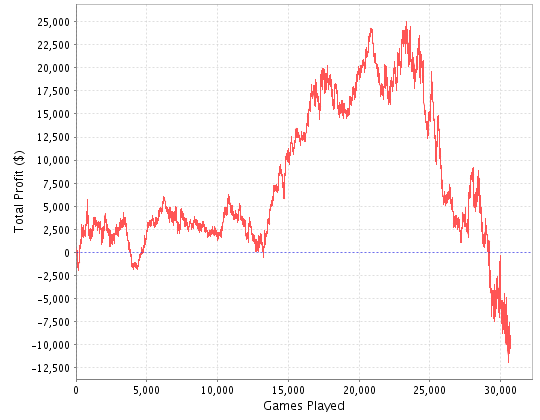 However, in 2011 I'm going to cut down on the online mtts since they don't fit in my working plan. This post was a bit more based on the numbers, but I think that if we know how to read the numbers they tell us interesting stories and that's the kind of reading I was trying to give you. This post is for whoever plays magic. During the past years I gave a lot of myself to Magic. When I was in university, I spent more time travelling around the world to play tournaments, than in class. Some professors were worried about me, and they were sometimes expressing their distaste that I wasn't achieving my academic potential. Gradually, I stopped playing magic competively, and started playing Poker to pay my expenses and finish my studies. In retrospective, I don't regret anything, because this is what made me who I am today and I think I'm in a positive situation. 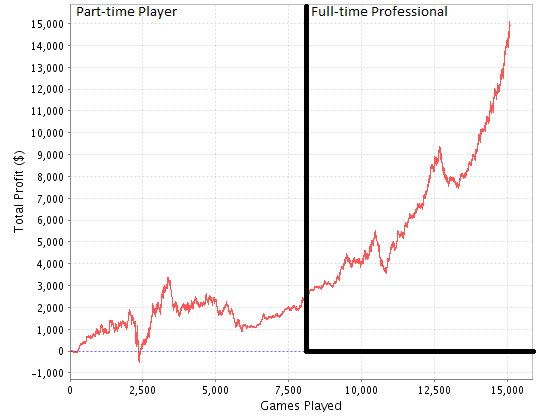 Eventually I finished my studies and started playing Poker full time, leaving magic completely to the side. At the culminate point of grinding for SNE in 2009 I was exhausted of all that grinding and that's when I decided to play my "last big championship of magic". At a point where I obviously didn't have any type of expectactions, I ended up winning and being the first Portuguese to bring the title of world champion of MTG to our beloved Portugal. During a year I was the current champion, I couldn't play a lot of tournaments, given my work, but when they asked me for an interview I always accepted and I contributed so as not only to promote the game, but also to give the best possible idea about it. Today this period comes to an end an I will be from now on referred to as "ex-world champion" or "2009 world champion". I hope that all the fans of the game have been satisfied with my work to promote the game and to put Portugal in gold letters in its history. At this moment, I'm not qualified for anything. My ranking shouldn't even be enough for the national championship and I also don't have any motivation to start over from scratch. Competitive magic is a chapter of my life that I look back to with joy, but that is part of the past.